In this age of widespread forgeries being made faster than in any previous time in history (note the famous case of the legendary Hans van Meergeren), we have entered through the advent of the digital age the possibility of producing fake works of art at an astonishing rate. 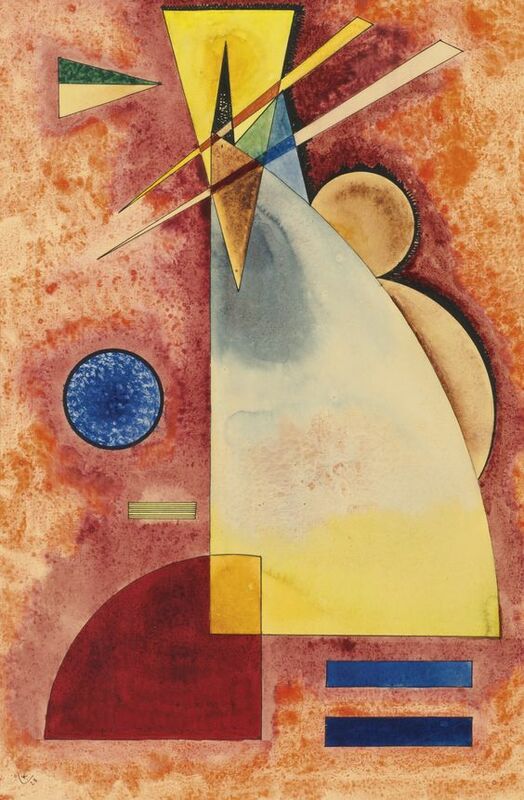 Over the past ten years the production of forgeries in the area of the Russian Avant Garde have taken a particularly wide dimension, as the global market and its large scale financial support structures (with new markets in the Middle East, Russia and Asia) has resulted in an exponential increase in the demand for modern master artworks. The lack of viable documentation for works of the Russian Avant Garde, due to the severe censorship during the Soviet period (there was widespread destruction of works, people and archives) has facilitated a large industry of false provenances and documentation (some archives are still difficult to access). Throughout Russia linguistic and cultural barriers (misunderstanding of the specifics regarding certain sources) still creates problems and makes access to this art and its sources difficult for the western art lover. Add to this, the serious lack of qualified professionals, because the history of art was like all sides of the culture being victimised by totalitarian censorship. This void has been felt especially in Europe and the USA in the emergence of “false” experts, art historians of the lowest level with dubious moral standards. They constitute the logistical base for the trade in forgeries. One remembers that in the realm of visual arts it takes at least two generations to form a real specialist, as any serious art historian will acknowledge. The evolution of techniques of diffusion (the Internet) and reproduction (Photoshop) has made it possible to perfectly fabricate fake archives, which are easier to falsify than the works themselves, and difficult to verify due to linguistic and cultural obstacles. This area has lastly taken on a level and degree of particular sophistication, and I could give numerous examples. Over the course of the last dozen of years, the industrial production of fakes has adjusted its methods to the commercial practices in this “grand diffusion”. Bringing forgeries into the marketplace has become professionally expert in its understanding of how the judicial system can be used to protect the forgers. This they have studied astutely. The people bringing these works into the world are able to work behind elliptical networks and formulas that have been carefully prepared with the help of legal advisors. Which allows them to bypass legal and financial responsibility and whereas true experts would accept responsibility with clear conscience. As an example, there are the numerous announcements of “catalogue raisonné” which are always in preparation and never published, announcements made without the least evidence of any scientific basis, neither archival studies, technical studies nor x-rays are required. One could easily qualify them, and see that they simply function as false advertising. And there have been many of these. The production of false pseudo-scientific reports and proofs, have dangerously developed as equally perfect. The ways in which these practices have second guessed the judicial system everywhere, in that the profusion of imaginary provenances, and pseudo-scientific expertises, the latter which are used to confirm attributions… as “possible”, and thus not real. The logical arsenal of pseudo-experts confirm the publication of these fictions which thanks to the methods and techniques now such as “cut and paste”, can be infinitely multiplied. This mass of false arguments create in this way a smoke screen behind which the production of fakes on a large scale can work with judicious strength. This judicial void where the real art historians and collectors stare this problem in the face, has become worse because the legal industry furnishes the forgers with great possibilities for defense, as they will not assume any responsibility to defend the authenticity of the artists message. The devaluation of an artistic creation to the level of a simple commercial product opens the doors to simple commercial litigation. These lastly do not take into account the specificity of a work of art, because over the last decades, art has found itself confined to the simple category of a commercially viable product (largely in the USA) where it is stripped of its specific and essential value, the result of an original and unique and highly bespoke, personal creation. Thus lowering it’s essential place to be one of a simple commercial value and not as a unique work of art with its own values; this gives a wide advantage to those dealers who at the work’s peril, by tearing down this artistic value, in favour of only a commercial value in the market. The domain of attributions, and issues of authenticity are the first to suffer in this process. The art historians and critics are the losers in this situation. To escape the menace of financial repercussions they find themselves simply censored. Beaten into silence by the force of the market (look at the situation in the USA where several committees of experts have disbanded simply because the legal costs to defend their positions became untenable, the most public has been the Warhol Foundation), in this way they are eliminated from the discussion, which suits the forgers purposes perfectly. The only hope, and one that is strongly limited, is with respect to the “moral right” (droit moral) that has been in the hands of the direct descendents of an artist, which should now be expanded to include all the qualified individuals (experts, art historians, etc.) who in a disinterested way could defend the integrity of the artist’s work. At least art historians and connoisseurs who the French legal system calls “sachants” (those with knowledge) should be included in the group to protect and support the work, and this would be done without financial interest. If we add that the moral right is not respected uniformly in all countries beyond the borders of the country where the work was made, I would propose a revision in the possibilities to defend the historic and integral message of the creative work be extended at least throughout Europe and the USA where the art market is so strong, and by direct consequence the market for fakes is also so strong. The international scale that the art market has taken, has globalized the market for forged works, and the fraud that is part of their commercialisation. This necessitates the creation of an agency, in the first instance, European, to address both the forgers and the fraud itself. The vicious circle that has become the judicial platform for the international forgers necessitates much stronger sanctions against these people who over the course of a few short years have amassed huge fortunes. Consequently it seems to me indispensable to think about the rights of the victims who cannot support the costs of taking the forgers to court when the reality of the falsified art work becomes known.